This year we have two splendid halls full of great participation games and manufacturers/traders. Many thanks to all the clubs, organisations and individuals who are bringing their participation games along to Hammerhead 2017. 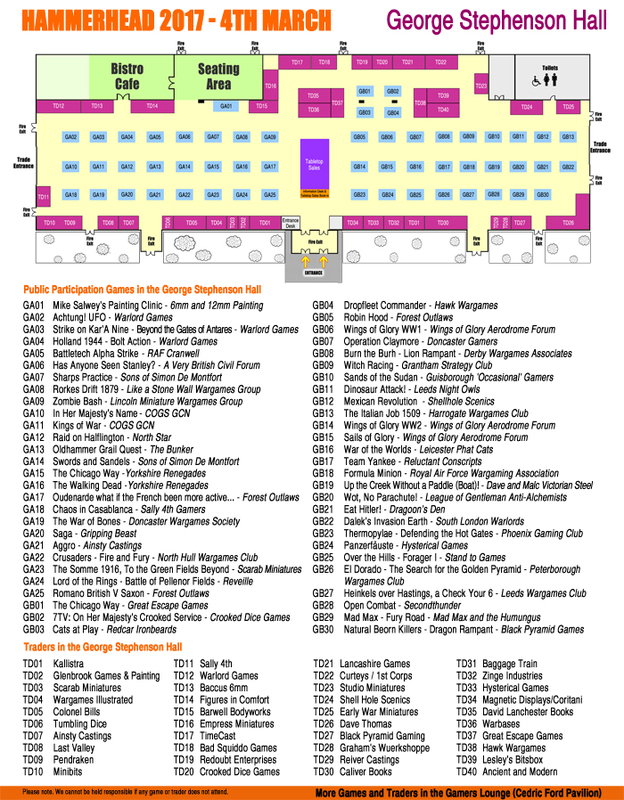 There are 70 games/activities booked into the main central gaming area of the two halls and 56 trader/manufacturers around the perimeter of the halls. Whether you’re interested in Napoleonics, WWI and WWII, Ancients, Medieval, Fantasy or Science Fiction, we are sure that you will find a selection of games you would like to play. 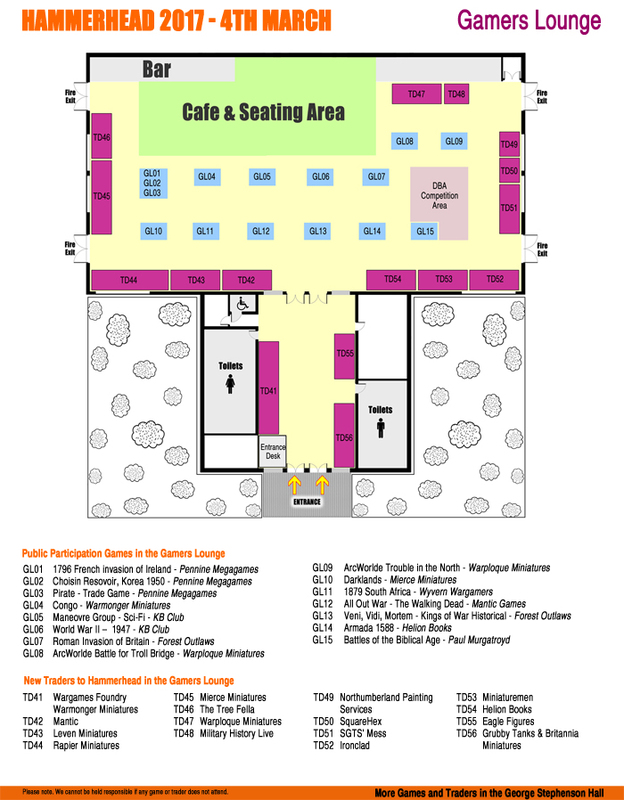 For those of you wanting to plan your route around the show, here's the floor plans for the George Stephenson Hall and also the New Gamers Lounge.